Subaru make family friendly all wheel drive SUVs and cars which focus on functionality and safety. The range includes the Outback, Forester, XV, Levorg, Impreza and Performance. 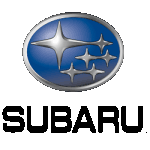 At Little Green Car we've got some fantastic Subaru lease offers in these pages and look out for our best buys. If you can't find the Subaru lease deal you're looking for please contact us.